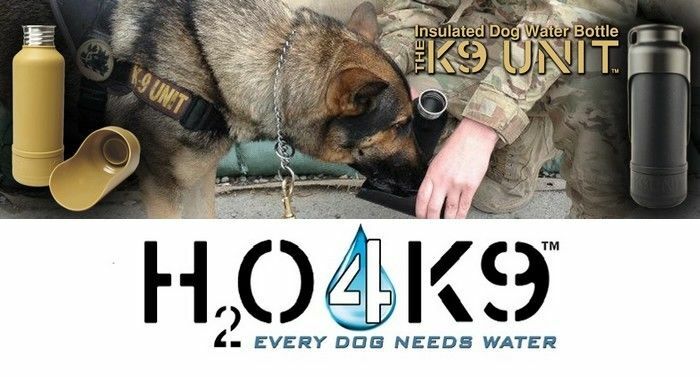 The K9 UNIT is designed to be quick and easy to use, while at the same time economical, allowing unused water to be poured back into the container. 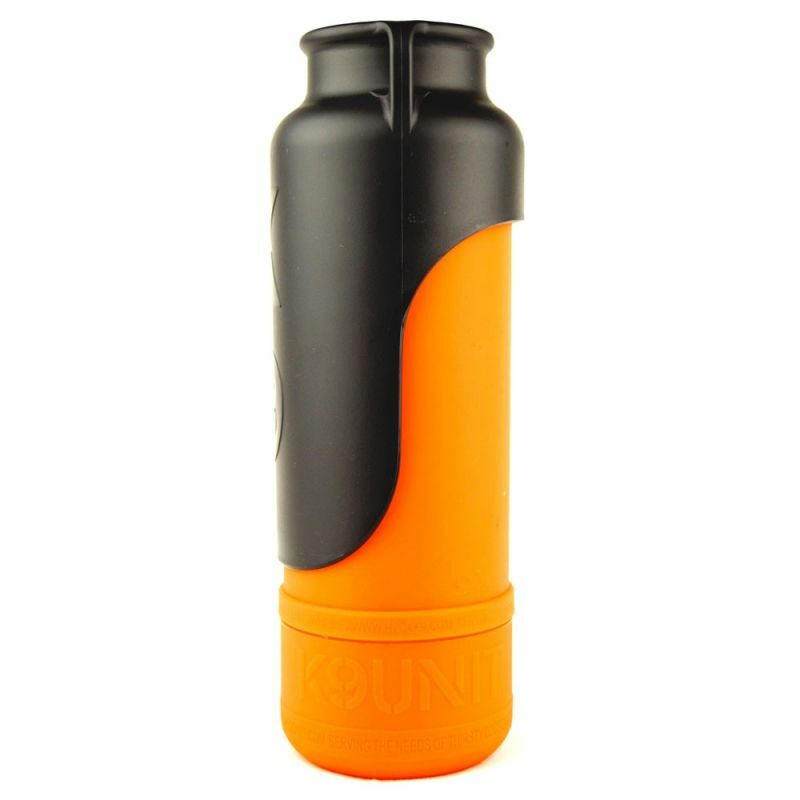 It has a simple twist-top lid which also doubles as a bowl, providing ease and efficiency for both dog and handler. 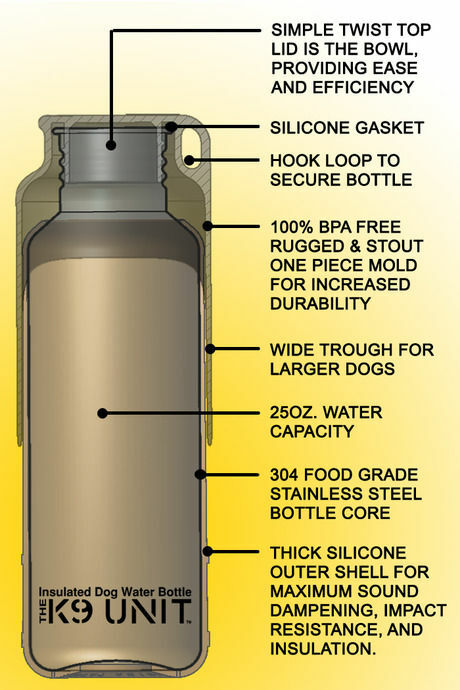 The lid also features a wide trough for larger dogs. Inside is a silicone gasket for spill-proof storage and on the outside is a hook-loop to allow the bottle to be securely tied to a belt or bag. 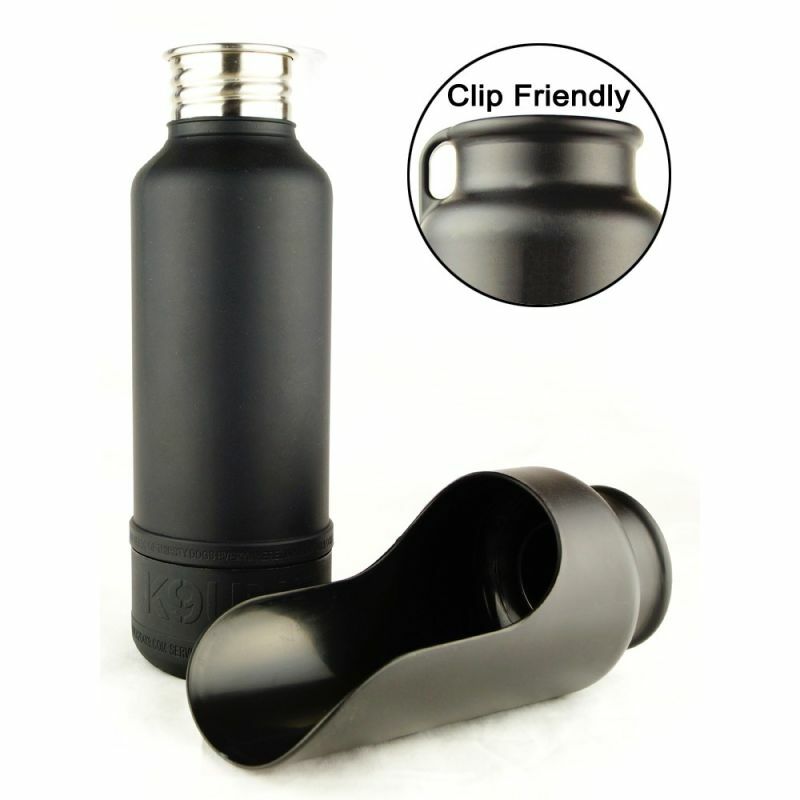 The material is made of 100% BPA free plastic cap and food-grade stainless steel, from rugged and stout one-piece mold for increased durability. 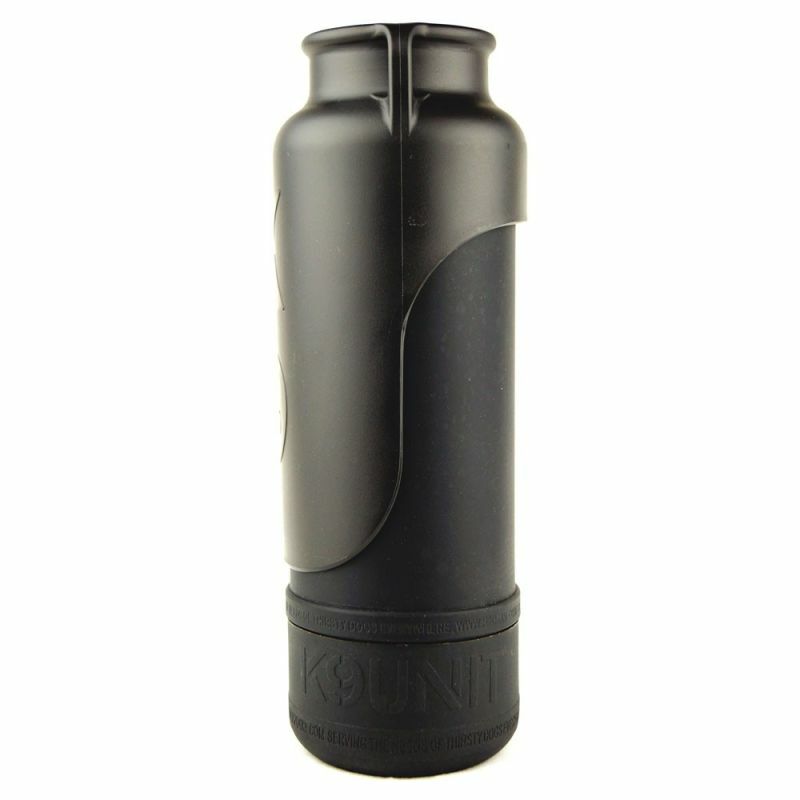 The thick outer silicone shell helps dampen sound and resist impact, while at the same time providing adequate insulation. 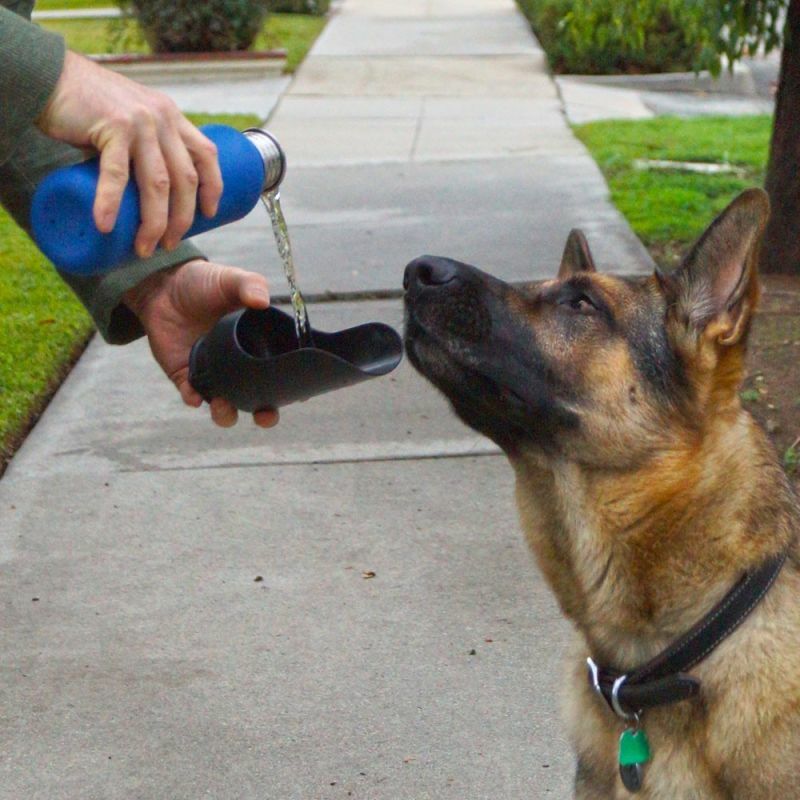 There are currently no FDA regulations of Bisphenol-A (BPA) in human or pet products. However. . . Testing concludes absolutely no Bisphenol-A (BPA) detected in H2O4K9 Bottles & Lids. U.S. Public Law 110-314 (Consumer Product Safety Improvement Act of 2008, CPSIA): - CPSIA section 108 – Phthalates. For compliance with the General Recognized As Safe (GRAS) specification according to United State Food and Drug Administration (US FDA) Regulations on stainless steel - total chromium content. Chromium, Tantalum, Niobium, Zirconium, Molybdenum, Titanium, Aluminum and Copper contents. In accordance with French Arrêté du 13 Janvier 1976, French Dêcret 92-631, French Décret 2007-766, French recommendation DGCCRF 2004-64 and Regulation (EC) No 1935/2004 of the European Parliament and of the Council of 27 October 2004. For material: Stainless steel (base material) - Chromium, Tantalum, Niobium, Zirconium, Molybdenum, Titanium, Aluminum and Copper contents. Our products are inspected to match quality standards throughout production, and we perform random inspections of product before each production run leaves the factory.